Why pay £56.50 when I can go out and ride green lanes without being a member of the TRF? That’s a fair question and one that does get asked year in year out. The simplest, easiest, can’t be topped reason is that your £56.50 contributes to the ‘fighting fund’, a critical pot of money that the TRF uses to mount legal challenges to proposed lane closures. 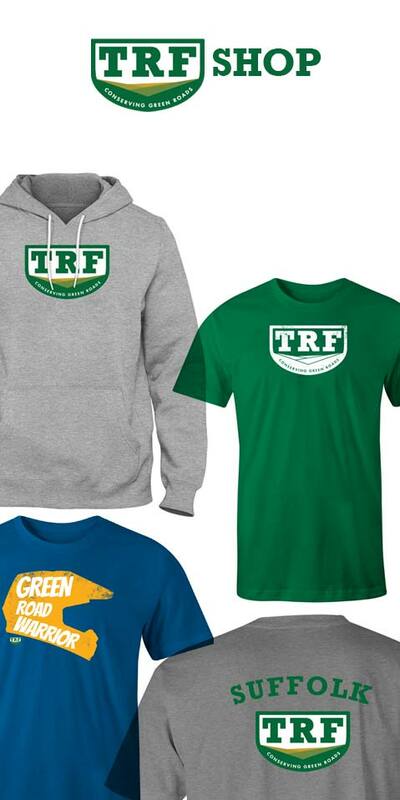 The sustainability of trail riding is one of the TRF’s core principles. You undertake to do what you can to use ride responsibly and protect Green Lanes from undue damage and TRF will protect your rights to use them, now and into the future. Our Rights of way teams, Lawyers and General Counsel will fight on your behalf to make sure you have access to the land you love riding now and long into the future. So, if you do in fact hold a law degree, and enjoy riding green lanes, and don’t mind taking your local council to court then great, no need to join. However if you don’t, for the price of a new tyre you really owe it to yourself to become a member. Whilst the Green Lane network spans 6,000 miles across every county in England and Wales, finding and planning routes is a hard earned task. TRF members have spent decades marking up OS maps, referring to the Definitive Map and liaising with councils about temporary or permanent closures. Anyone can pick up a map and figure out a route or two, but the collective knowledge within the TRF expands that knowledge, not just where the routes are but how best to link them together based on the ride you want. Challenge, relaxing, long, short, petrol station, cafe. Your local group has the knowledge. Most of us can remember the first time we ventured out on a trail bike. Perhaps you were lucky enough to be born and raised on two wheels, but for the rest of us it is more likely that the trails were a way of rediscovering motorcycling, a new way of riding away from the high speed thrills of the open road. Until you own a trail bike, the idea of your pride and joy being anything other than upright is disastrous, yet for most newbies this is exactly what lies ahead. 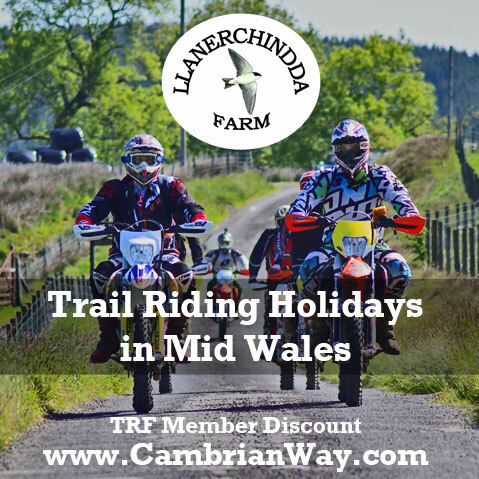 Riding slow speed on technical routes, learning how to control your bike, how to fall off and how to get going again is all part of the enjoyment of trail riding. You could do it on your own, but learning within the camaraderie and banter of the TRF is a far richer experience! Trail riding, motocross, kids on illegal bikes. To the untrained eye they all look the same and unfortunately, as with so much media these days, the actions of a few can tarnish the many. 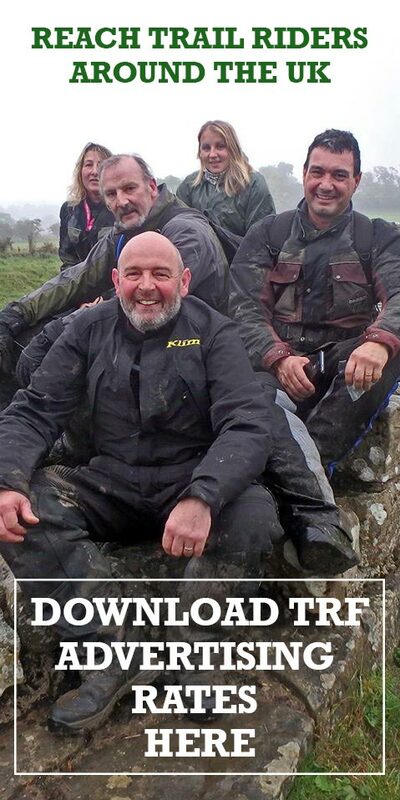 The TRF upholds a positive code of conduct and riders choose to be members because they pride themselves in being responsible and professional users of the countryside. We understand that now more than ever our pastime is under scrutiny and it is up to us to challenge and change the perceptions of who we are and what we value. 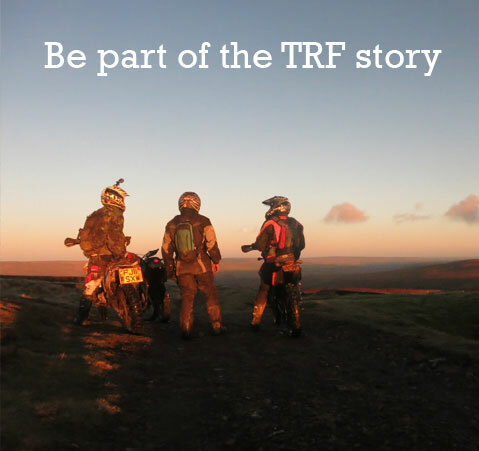 Membership of the TRF sends a clear signal that a rider is committed to a future where all countryside users treat each other with respect. The laws surrounding where you can and can't ride are in some circumstances not understood in their entirety by those responsible for enforcing them. If a TRF member is riding within the law and is unfortunate enough to be challenged by prosecution, the TRF will support their defence. As you would imagine, the full extent of this will be determined on a case by case basis.